Contains a maximum 100% concentrated dose of HYALURONIC ACID. HYALURONIC ACID. 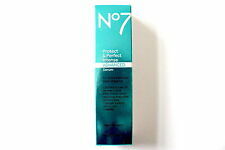 PROFESSIONAL SERUM CONTAINS THE MAXIMUM DOSE OF HIGHLY ACTIVE INGREDIENTS LACTIC ACID. Effectively hydrates the skin and normalizes the exfoliation process. This incredible formula fades sun spots, discoloration and refines skin texture. Leave you a youthful glow appearance. 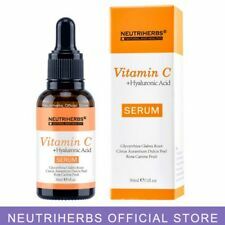 Vitamin C serum will help reduce the age spots, fine lines and wrinkles improve your skin texture and reveal brighter and younger looking skin. Skin Types: Suitable for various skin type. Shelf Life :3 Years. Net Cotent: 60g. 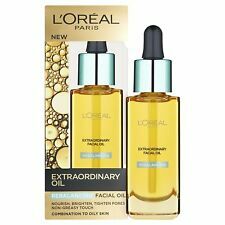 L’Oréal Paris Laboratories have specially selected a refined blend of eight essential oils. We have over 10 years of experience in the Health & Beauty category. Jungle Formula. Jelly Belly. All our products are sourced either directly from the manufacturers or reputable distributors. Strong Anti Wrinkle Serum cream HYALURONIC ACID Matrixyl 3000 VIT C BEST FACE! 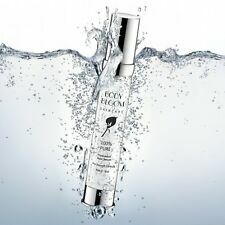 THE ORIGINAL & GENUINE DRENCH STRONG SERUM! 4.5 out of 5 stars - Strong Anti Wrinkle Serum cream HYALURONIC ACID Matrixyl 3000 VIT C BEST FACE! 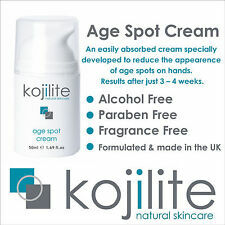 64 product ratings64 product ratings - Strong Anti Wrinkle Serum cream HYALURONIC ACID Matrixyl 3000 VIT C BEST FACE! This serum contains that ingredient which gives healthier and youthful looking and minimizes the pores on your skin. Wash your face with water. A more even tone, less noticeable wrinkles and a more healthy, vibrant looking skin. High (4.5%) concentration of GLYCOLIC ACID improves the condition of skin at any age. It exfoliates the epidermis, stimulating the repair processes of the skin, smoothes the skin and evens out its tone. 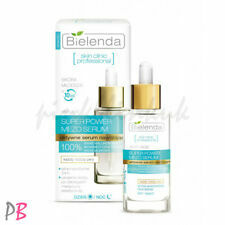 Bielenda Anti-Age Hyaluronic Acid serum visibly smooths fixed wrinkles on the face and around the eyes, and effectively prevents formation of new ones. It lifts and tightens the skin, improves its firmness and elasticity, slows down the aging process. Concentrated product for intensive care of mature and tired skin. Nutritional formula to support the revitalisation and renewal process. Perfect for face massage. Suitable for all types of skin. For frequent use for skin 40 (apply twice a week, in the evening). EVELINE SOS SERUM AGAINST FIRST WRINKLES. VITAMIN C 12% HYALURONIC ACID. SMOOTHES FIRST WRINKLES. 1st application . 20 Ways to Use Rosehip Oil. Always ask your doctor first, but many people have used Rosehip Oil to speed up the healing from rashes (depends on the rash, of course). This potent beauty treat is good in almost everything! Developed with advanced Genifique Technology & a biotechnology-derived ingredient. A high-performance anti-aging face serum. BIOLIQ PRO INTENSYWNE SERUM NAWILŻAJĄCE. Skoncentrowane serum intensywnie, natychmiastowo i długotrwale nawilża. Serum redukuje szorstkość i szary, ziemisty koloryt skóry, uczucie napięcia, a nawet drobne linie powstałe wskutek jej odwodnienia. Capacity: 50ml. Every morning and evening, massage the cream into the cleansed skin of the face. 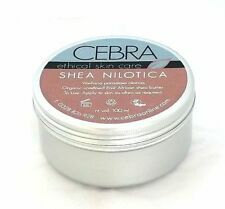 The cream prevents breakouts, mattifies and degreases shiny skin. It works like a magnet: attracts and absorbs toxins, dead skin cells, excess sebum and other impurities from the surface and deeper layers of the skin. Hylauronic collagen, Acid is able to penetrate the skin’s upper layers to improve and benefit the skin when applied topically. Hylauronic acid is a major component of skin, where it benefits tissue repair and protection. Hydra vital hydroluronic acid. new unopened box. InstaNatural Niacinamide Serum provides powerful strength to the skin's protective barrier, defending it from external factors that can cause breakouts, irritation and aging concerns. Niacinamide, in combination with Hyaluronic Acid, Avocado Oil and Rosemary Extract, soothes, firms and replenishes the skin. SENTIA Vitamin C Serum with Hyaluronic Acid & Collagen. Great for tightening, brightening and illuminating your complexion and also increases your skin's resilience to oxidative stress. Deionized Water, Hyaluronic Acid, Vitamin C, Vitamin E, Collagen, Beta-glucan, Rose Extract, Palmitoyl Oligopeptide (Matrixyl-3000), Acetyl Hexapeptide-3 (or -8) (Argireline), EGF, Aloe Vera Extract, Jojoba Oil, Gotu Kola Extract, P-anisic Acid Ingredients are 85% Organic. DERMA V10 TEN YEARS YOUNGER. 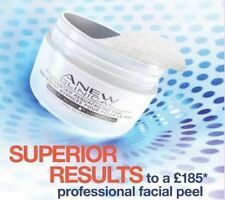 Deep Wrinkle Collagen Filler. During the process, the Collagen works together with the skin to fill he wrinkle in. Deep collagen filler has been designed to absorb easily into the upper layers of the skin, which begins the process to fill wrinkles and reduces furrows. Delia wypełniające zmarszczki serum do twarzy, szyi i dekoltu z kwasem hialuronowym. Serum z kwasem hialuronowym zapewnia efekt uelastyczniający i wypełniający zmarszczki. Serum przeznaczone do każdego typu cery z widocznymi oznakami starzenia, takimi jak drobne zmarszczki, wiotka skóra, przesuszenie. Acne Scars, Scarring, Wrinkles & Fine Lines. ORGANIC! Combines 89% Vichy Mineralizing Thermal Spring Water. – 89% Vichy Mineralizing Water naturally rich in 15 essential minerals like calcium and magnesium help strength and protect skin. Enriched with 15 minerals and Hyaluronic Acid. 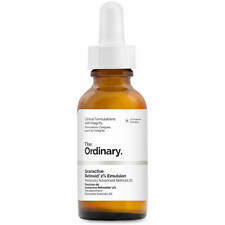 Treat your complexion to the benefits of the Hyaluronic Acid 2% B5 Hydration Support Formula from The Ordinary. Ingredients: Water, Glycerin, Trehalose, Betaine, Dextran, Panthenol, Hydroxyethylcellulose, Ascorbic Acid, Allantoin, Hyaluronic Acid, Tocopherol, Phenoxyethanol. Use daily-morning and night for smooth and radiant looking skin. With anti-ageing range Revitalift Laser Renew, for intense triple action skincare results Try Laser Renew by Revitalift, the World’s Number 1 for Anti-Ageing. Anti Ageing. Model in a Bottle. We have over 10 years of experience in the Health & Beauty category. Kanzy Face Serum Made with only the highest and top quality natural & organic ingredients this Serum not only concentrated on vitamin c serum has been proven to be effective, but it's also gentle too, and the perfect solution for even the most sensitive skin types.